A football skills book for children that explains all the rules and football tactics, and encourages considerate playing on pitch. It provides expert football training tips and practice drills devised by professional coaches. Children will learn key match day tactics. These include attacking, defending, and movement without the ball. Your child will also discover all about their favourite star players, as well as information on competitions, venues, and football's greatest moments. 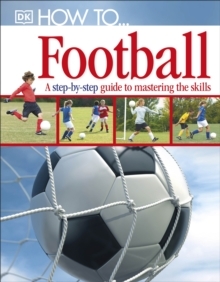 With this excellent football training guide, your child will learn how to be a football superstar in no time!